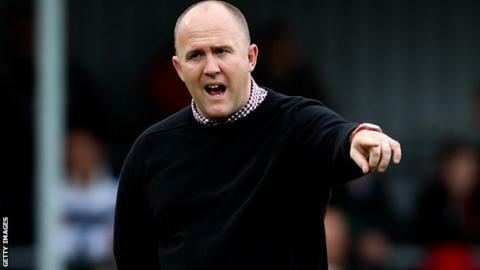 Cornish Pirates head coach Ian Davies has backed the Barbarians to survive for many years to come, despite the demands of the professional era. Davies coached the Baa-Baas against a Combined Services team on Tuesday, but his side lost 34-28 at Brickfields. The Baa-Baas are one of rugby's oldest institutions but heavy defeats by the British and Irish Lions and England led to speculation over their future. "There's a place for them as much as ever," he told BBC South West Sport. The Barbarians are an invitational side drawn from players from all over the world with a tradition of playing attractive running rugby. They have a special place in the hearts of many rugby union fans, with the very name conjuring up mental images of "that try" by Gareth Edwards against the All Blacks in 1973. But some believe the Baa-Baas are an anachronism in the professional era - particularly when it comes to taking on well-drilled Test teams - and Davies admitted he had only been able to hold one training session with his squad: a one-hour "walk and talk" the day before the game. The Remembrance game at Brickfields, the home of Plymouth Albion, attracted a healthy crowd for a Barbarians side largely drawn from the Championship and Welsh club sides, with former Wales fly-half Ceri Sweeney and ex-England prop Duncan Bell two of the biggest names involved. "In many ways this is the real Barbarians," added Davies. "Of course it's difficult when they take on the Tier One nations but in terms of spreading the word of rugby and giving players the opportunity to be part of the sport's history, the Barbarians are very important. "Supporters want to watch the Barbarians play and players certainly want to play for them so there is a future for them." Davies said the experience of coaching the Barbarians was one of the highlights of his coaching career. "We spoke pre-match that approximately 4,000 players had gone before these guys," said Davies. "The next time the shirt will be seen is at Twickenham against Fiji and the names involved in that are great [South Africa's Jean de Villiers and Schalk Burger have confirmed their involvement in the game on 30 November, with more players to be announced] but these guys had the shirt now and it was an immense pride for them to wear the shirt. "But it was also a source of pride for me to be involved. I never thought it would happen so when they asked me I was just over the moon. "We played some fantastic rugby. It's about the mix of players - a few of them had played together before and they really clicked." Scrum-half Ruairi Cushion came off the bench to make his Barbarians debut at his home ground and said the honour of pulling on the team's famous black-and-white hoops still meant a lot to players. "I've played at representative levels for Ireland and that means a huge amount to me, but every player growing up dreams of playing for the Barbarians and I am very proud to have won the shirt," he told BBC South West Sport. "We've only been together as a group for a very short time but it's been a great experience and a huge honour to be involved. "You can see that it meant a lot to all the players to get the chance to play for the Barbarians." The greatest try ever scored? Read more on The greatest try ever scored?